For the past couple of weeks, I’ve been blogging about Florida beers from my 2011 Spring Break trip in April. So I might as well continue with the Florida beer scene and write about my trip back to Florida a month later in May. I spent Spring Break on vacation on the Gulf Coast, but this time work was sending me to Palm Beach and a legendary oceanfront resort, The Breakers. My meeting started early Sunday morning so I arrived on Saturday with my colleague Todd in time for a late lunch/early dinner. After checking into The Breakers, we took a car across the bridge back into West Palm Beach to CityPlace, downtown shopping, dining, and entertainment district. 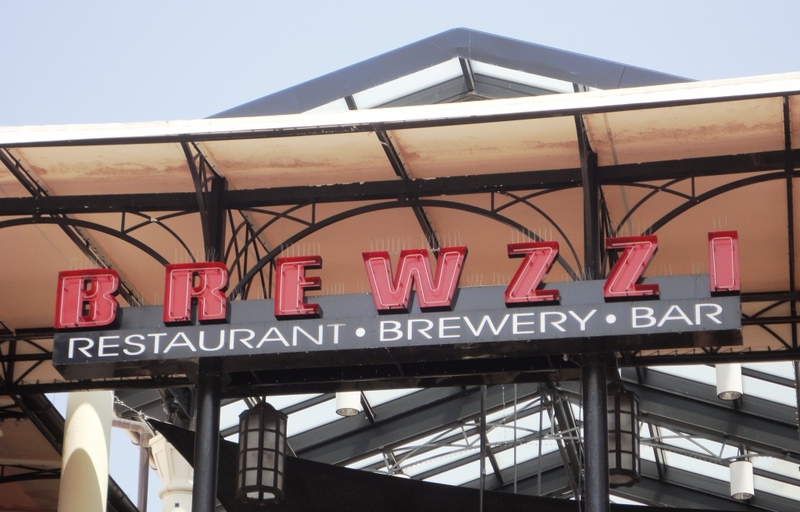 We were looking for a brewpub called Brewzzi. 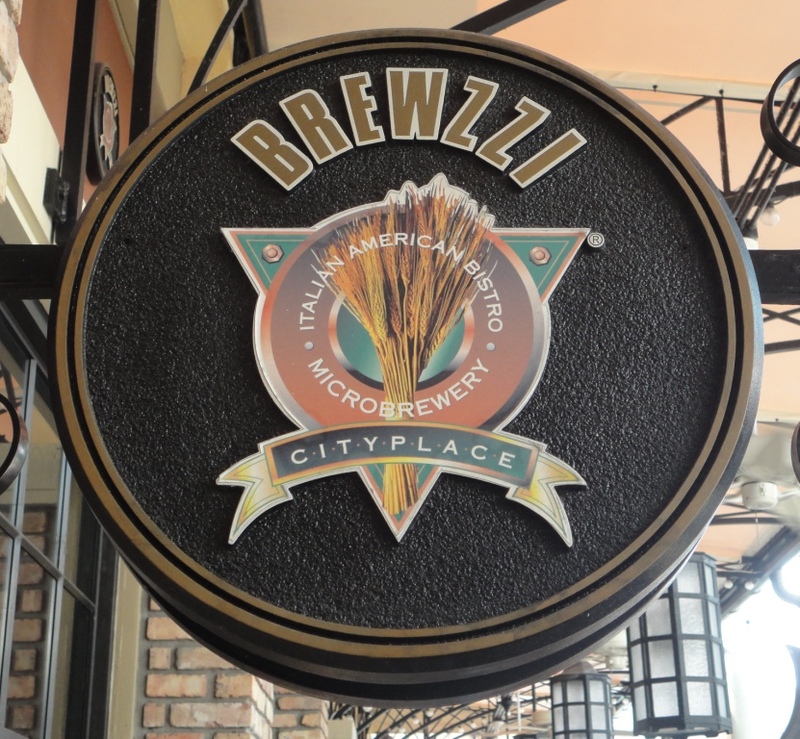 Brewzzi was on the second level, and we grabbed a table on the outdoor patio, overlooking the heart of CityPlace. Our table provided us a perfect view to people-watch as we gazed upon the attractive West Palm Beach populace. 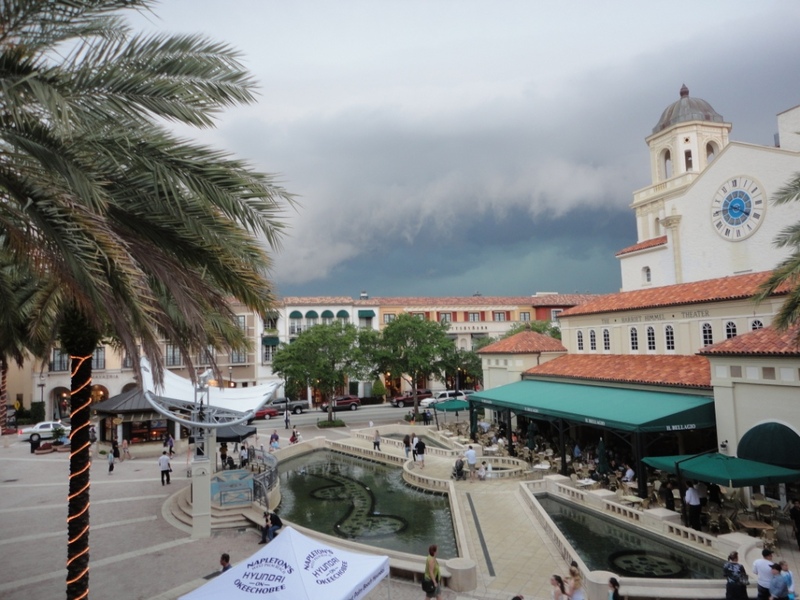 From our perch, we watched a flash mob by high school seniors, the impressive water fountain that performed every hour, and a thunderstorm that swept across the horizon. These brews were considered Brewzzi Reserve beers, so they were specially brewed for limited release. I went up to the patio bar for a few small samples of the standard house beers, just to got a feel for the brewery. The regular beers on the menu were good but did not impress, but the two Belgian beers were awesome and strong. Todd and I were wise to stick to the Reserve beers. The combination of great beer and the West Palm Beach vibe made this a memorable brewpub visit.